We've all seen the value of early Classic Minis skyrocket over recent years, making it quite justifiable to make some mechanical upgrades to enhance safety, performance, and enjoyability of these relics... we note that all the Mark 1 Minis left are at least 50 years old now!! 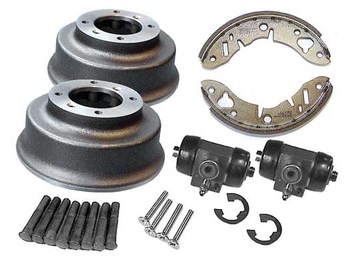 If you want to run 10 inch wheels, this is the kit to add the Cooper S Disk brakes to any Classic Mini that still has drum brakes in front. 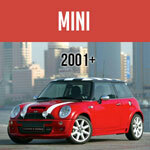 The improvement in braking power is eye-opening, upgrading your Mini from 'primitive' to modern sports car capable! Let's not forget the rear of your Classic Mini. Even back in the 60s, the Cooper S models used the "big drums" to widen the track at the rear of the car to match the wider disk brake front. This kit should be considered mandatory for cars with front disk brakes and over-size wheels and tires! Another area where technology has marched forward is TIRES! Modern radials introduce side loads never dreamed of during the "Leave it to Beaver" era! Minis used caged BALL bearings in the standard models well into the 1970s! 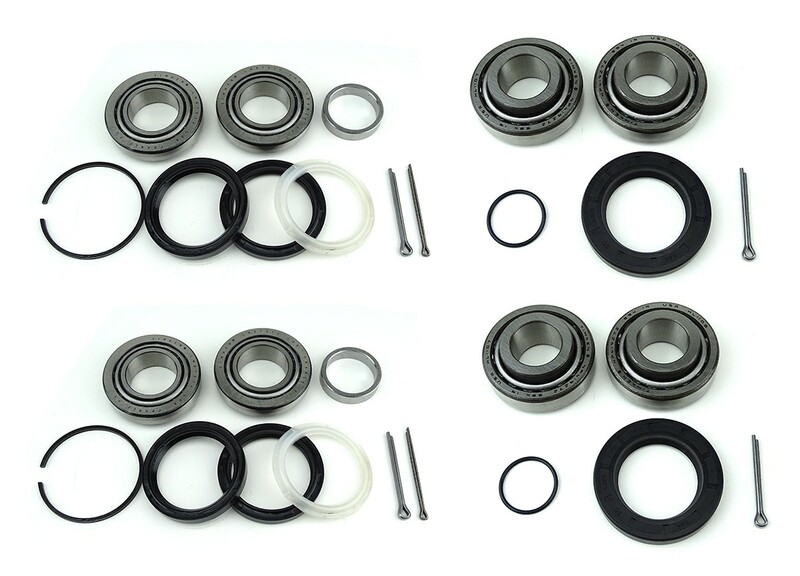 Any serious Classic Mini must upgrade to the Timken-style tapered roller bearings as used on all modern cars, and luckily, it's a very easy upgrade with the new bearings simply going into the existing hubs. Don't even think of keeping the caged ball bearings if you have oversized wheels and tires, or a powerful engine! 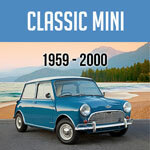 We've improved the stopping and the rolling and handling of our early Mini so far! With most American Minis running a big engine, the next upgrade to reliability and performance has to be modernizing the drive axles. Early minis used an inner u-joint at the differential output that had a known issue, namely that the 4-axis u-joint had to operate through a bind in certain conditions. 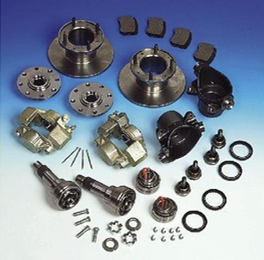 Suspension and steering travel can exceed the range of the u-joint, so the end-caps had to be in a large rubber cup that could force the joint past it's normal range. This was adequate for the 15 or so horsepower 850cc engines of the original design, but results in quick destruction when a built 1275 puts 5 times the power through it! We supply a kit that usually accompanies a new big engine going into an early car, thus it includes the late Rod-change shift linkage along with a pair of good used axles, AND brand-new inner CV joints (known as "Pot Joints" for some reason!) that feature the very standard modern 6-axis articulation common with front-wheel-drive cars. Here's a link to the kit. Finally for today, Updating that old brick of a Lucas starter motor! One of the reasons so many British cars are notorious for destroying flywheel ring gear teeth is because most of them used a version of this starter! 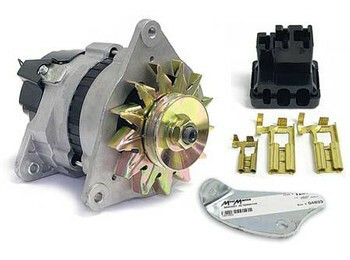 In fact one of the easiest and cheapest fixes for a starter that keeps "missing" the flywheel is to simply replace the old starter with this modern Japanese unit that is used by Honda and Toyota. We modify the housing to fit the Mini, and the gear engages the OPPOSITE side of the flywheel teeth. We've taken a modern Japanese high torque starter and machined a mounting flange to mate it to an A-Series engine. 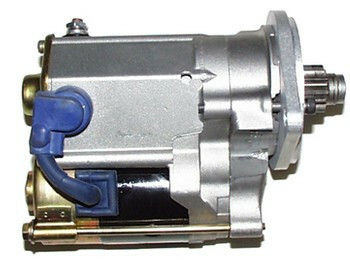 It has a proper solenoid that positively engages the starter when the switch is activated, and it is powerful enough to crank the highest compression engine. Note: NO core charge! We've all experienced it - a cantankerous engine that fires on one cylinder just as that Lucas starter kicks out! What an improvement to have a starter that cranked the motor as long as you want. These direct drive, gear reduction starters do that! Every race car should have one of these.